All of the things regarding obesity and fatness weren’t in my mind yet so I didn’t care. People thought that I was cute and I enjoyed the attention they gave me. My mom loved to feed me and she made sure that I was busy chewing on something all the time. 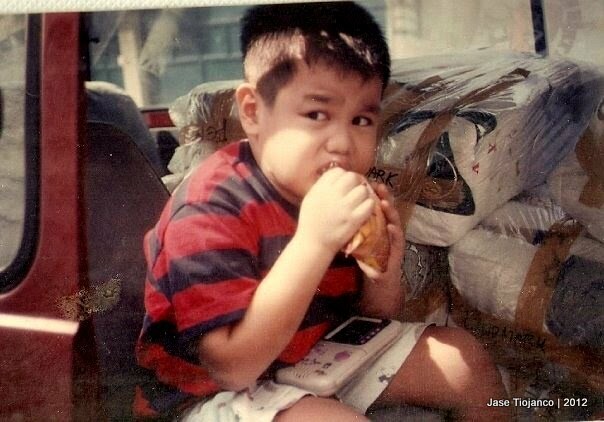 Whenever I was at home, I can often be found at the dining table, eating. I guzzled soda pop like crazy and I could down a liter of Coke in one sitting. To top it all off, I couldn’t get enough of sweets. 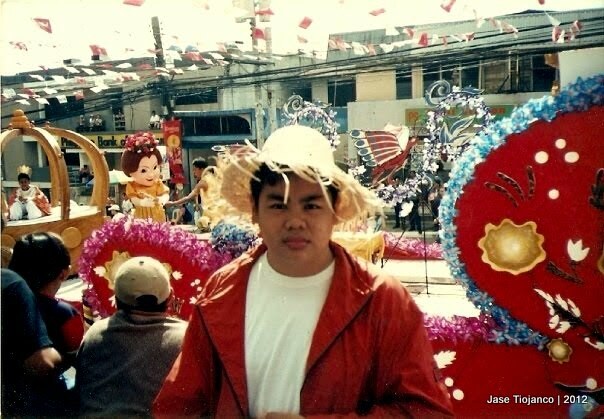 Photo taken in Cebu when I was a 7th Grader. As I grew up, the attention turned into concern as the awareness regarding the ill effects of obesity became widespread. Every time our family had an annual physical exam, doctors would tell my parents that my weight should be managed. When I reached high school, I was already more than 200 pounds. My parents tried to help me lose weight by bringing me to a dietitian. The expert told me to avoid a lot of things, eat less of these, more of those. My parents even went the extra mile by buying me snacks from Healthy Options. Did I lose weight? Yes. But I gained it back a few months later… plus interest. 250 pounds. My height's 5'11.5", by the way. The biggest slap on my face was in our biology class. Where I studied, by the way, there were usually 42 students in a section. We had a little lab experiment wherein we took our Body Mass Indices. After everyone got their BMIs, a show of hands per category happened. Lo and behold, out of 42 students, I was the lone person who fell into the obese category. I was at 250 pounds that time. My waist line was size 44 and buying jeans, slacks, and shorts was a great challenge. When I reached my final year in high school, I told myself that I had enough of being fat. I set a goal that before I leave high school and step into college, I should’ve lost 50 pounds. My diet went through a major overhaul. I stopped drinking carbonated beverages – as in completely. Not even a sip! I also substituted my rice with wheat bread. I’d eat it with any viand, even sinigang (A Filipino dish similar to Tom Yum). I cut on sweets and drank water to suppress my hunger. Aside from dieting, I started doing Tae Bo. Looking like an idiot in front of the television didn’t bother me, my mind was fixated on the goal of losing weight. My teachers started noticing that I was getting thin. I remember my adviser asking me what I was doing so that she could do the same. Five months after I started working on achieving my goal, I’ve already lost more than my target. Hearing praises for the effects of my new lifestyle motivated me to work on it more. When I stepped into college, I was at 180 pounds. I wasn’t exactly proud of what I achieved back then. Was I thin? Yes. My mom was concerned that I might have lost beyond what’s necessary. I became excess skin and bones. 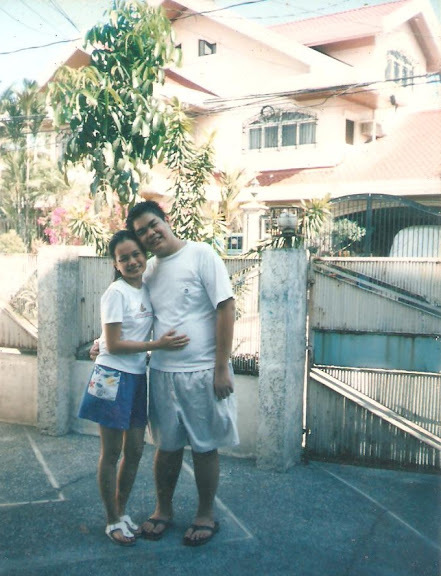 At that time though, I was happy that I’m not 250 pounds anymore. Fast forward to my first year of work. The perks of earning included being able to eat in places that are beyond the reach of a student’s allowance. I ate out almost on a weekly basis, and everyday, I ate every time I felt an inkling of hunger. After a year of being a yuppie, I was close to 200 pounds again. Taken in Beijing, a month before I enrolled in a gym. I was afraid that if I do not do anything about my weight, I’d go back to being chunky. Since I realized that I didn’t really like the way I looked post-dieting, which was bordering anorexic, I decided to hit the gym this time. 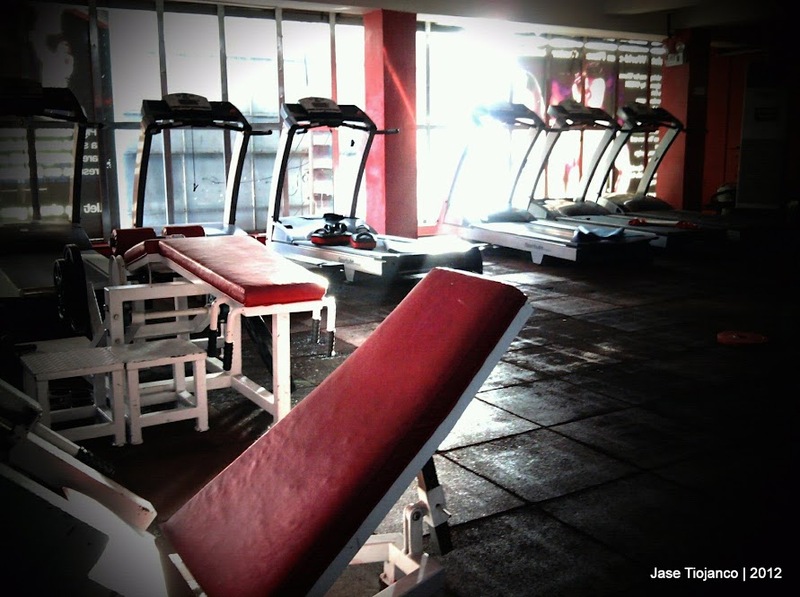 I researched and scoured through online forums and blogs about different gyms. My first choice was Fitness First since they have a lot of branches and they’re quite popular, but the entry price was steep and people say they’re too commercialized. Gold’s Gym seemed okay but again, the price was too steep for me. I almost signed up for Slimmer’s World since my brother works out there but the feedback that their equipment are old and rusty turned me off. In the end, I chose to go to Eclipse 24/7 Gym along Shaw Boulevard. I’ve been reading praises about the place and their program. People said that they were able to see results in three months time so I initially signed up for that long. It’s a bit far from home but at least it’s just a ride away. Eclipse Gym 24/7 along Shaw Boulevard, in front of Puregold. I was given a program consisting of two workouts. 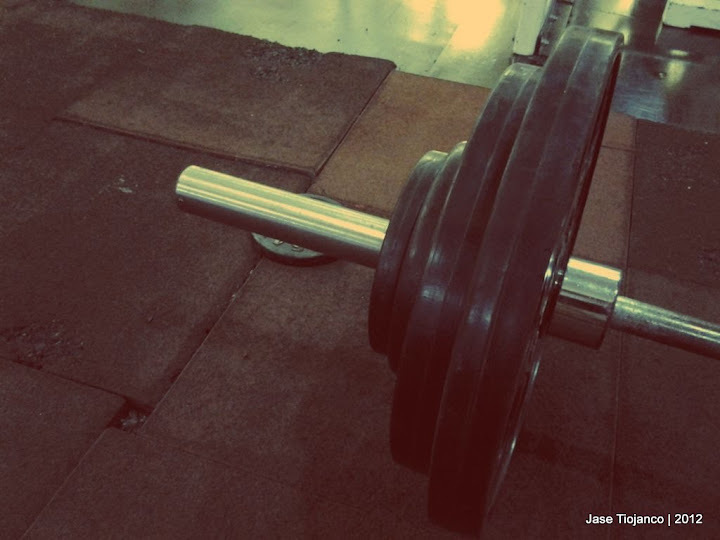 Given that it was my first time to step into a gym and lift weights, I had a difficult time adjusting. I remember my first month there being filled with days of agony, body ache, and sore muscles. Moving was a chore after every workout and even boarding a jeepney was a challenge. At that time, the running bandwagon seemed to be calling my name. Also, I was frustrated since every time I step on the weighing scale, it would show the same figure day after day. A month after working out, I still see 196 pounds. But I didn’t quit. I didn’t want to put a permanent solution to a temporary problem. That and… I’ve already paid for my three-month membership. My gym 'buddies' - my worksheet, a pencil, and my phone. Good thing I persisted. After a month, my body got used to the exercises. My colleagues and friends noticed that I’m looking leaner. I shrugged the praises at first since I didn’t see any drop in my weight. But as weeks passed, my weight went down. Slowly but surely, I was getting there. At the end of three months, I lost around 10 pounds. It doesn’t seem a lot, but as coach said, it’s not in what the scale says, it’s how your clothes fit. True enough, my size 34 pants became loose and I was able to wear my size 33 jeans again. I was very much satisfied with the results so I extended my membership for another six months. The gym became my venue for stress release and I started looking forward to my workouts. In a way, it has become part of my lifestyle. A sight I look forward to seeing. Almost nine months has passed since I first stepped into the gym. Twenty pounds has been lost and a little confidence has been gained. Last I checked, I was at 176 pounds. My waist line has shrunk to size 32, and that’s with some room to spare. My friends haven’t seen me for a while and when I celebrated my birthday with them, they were pretty much surprised with the transformation. Good thing no one was inside the locker area when I took this photo. Haha! Looking back, I’m proud of what of I have achieved in that period of time. I remember sending a message to coach complaining about my difficulty in dead lifting 175 pounds. Now I dead lift 240. Still far from what gym veterans do but I’m proud of it nonetheless. I feel bad at times that I didn’t really pay much attention to my diet, but at least I was able to eat what I wanted. Same story Jase. Stayed with Eclipse and after a year, realized that my goal was achieved. Sure thing. Hope to see you around the gym!